You can find detailed information about this Service on the dedicated ICE Cubes website. An Experiment Cube can host a huge variety of research. For the core of your experiment, you can for example make use of technologies like Micro Electrical Mechanical Systems (MEMS) or micro fluidic labs-on-a-chip, the only limit being your own ingenuity. The Experiment Cubes and the relevant data are yours and yours alone. We do not look at the produced data and operate to assure that the valuable results of your research only belong to you. State-of-the-art Commercial Off The Shelf components and technologies can be used to develop your experiment, thereby significantly reducing the development cost and duration. You get guidelines and advice for developing your experiment from the initial design to the verification. We can also provide more structured engineering and manufacturing services, if necessary. New batches of Experiment Cubes will be launched every 4 months and you can decide how long to stay on board conducting your activity. Additional resources such as cold stowage or returning your Cube to ground can be arranged for you. 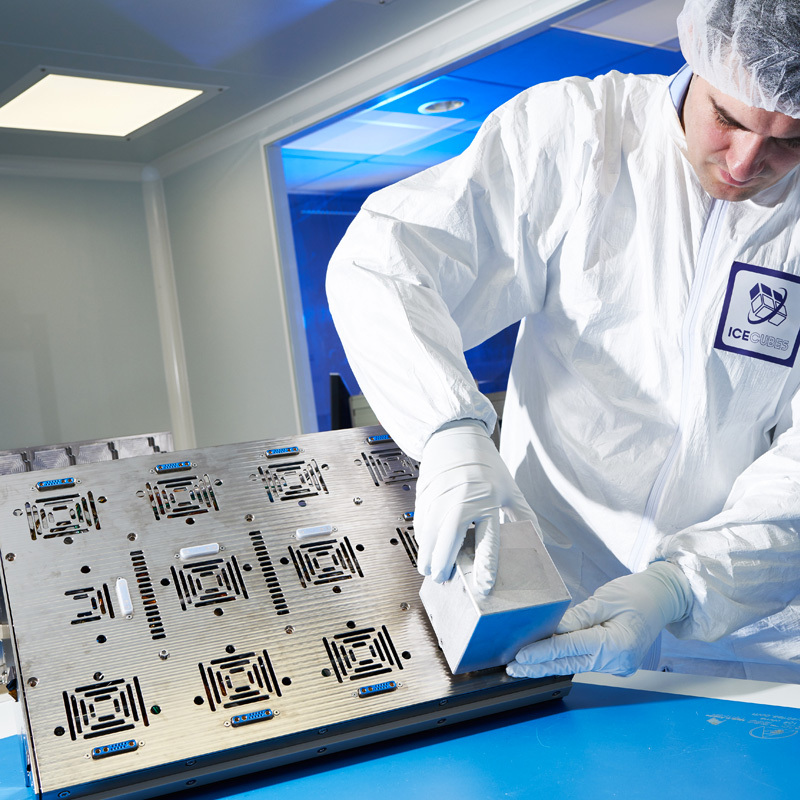 We take care of all the contacts with the European Space Agency (ESA) and the launcher authority for the certification, launch and installation of your Cube on board the ISS. 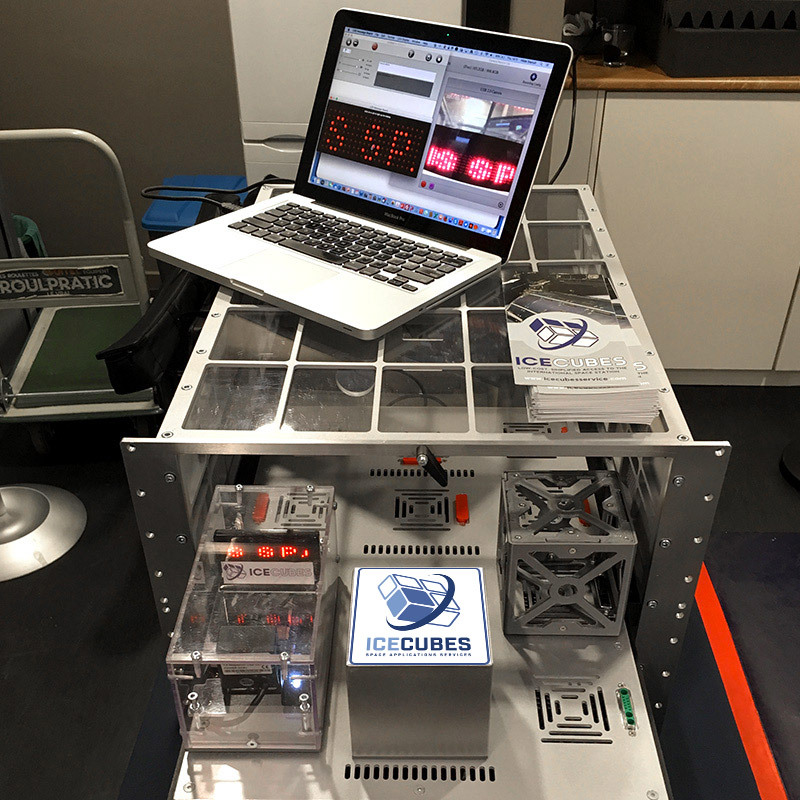 Once installed in the ICE Cubes Facility, your Experiment Cube will be powered on by our Mission Control Centre and you can start commanding and gathering data in near real time. Get feedback and adjust parameters during the experiment are all possible from your own computer. Stay connected with your Experiment Cube from your office, laboratory or classroom. Decide the way in which your experiment is controlled and the data are delivered to you. We will provide you with a software suite to access your Experiment Cube via standard Internet protocols.